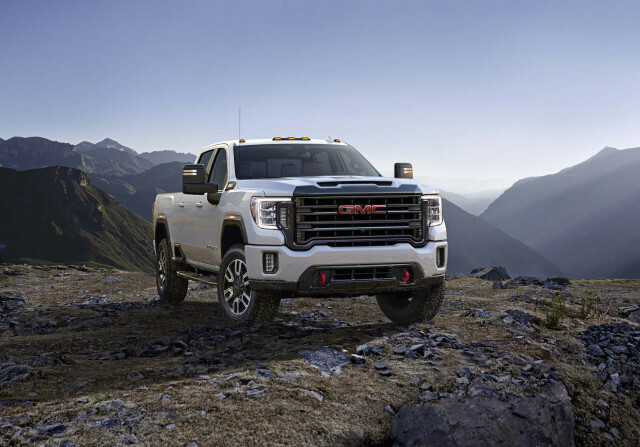 GMC revealed the 2020 Sierra HD on Tuesday at a private media event in California. 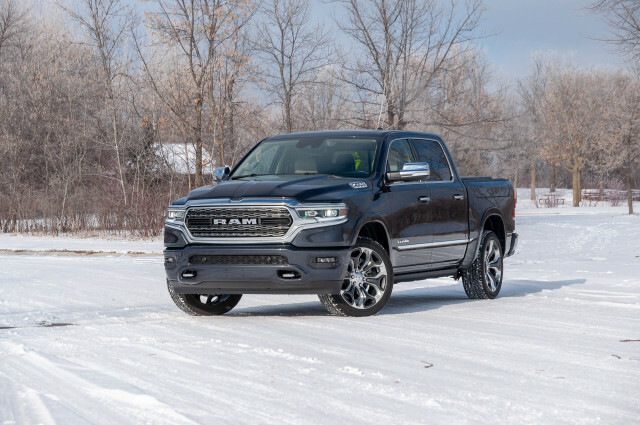 The automaker didn't talk much about what's under its high hood, however other than to state that its 6.6-liter turbodiesel V-8 will put out 445 horsepower and 910 pound-feet of torque, meaning it doesn't top the 1,000 pound-feet of torque in the new Ram HD. 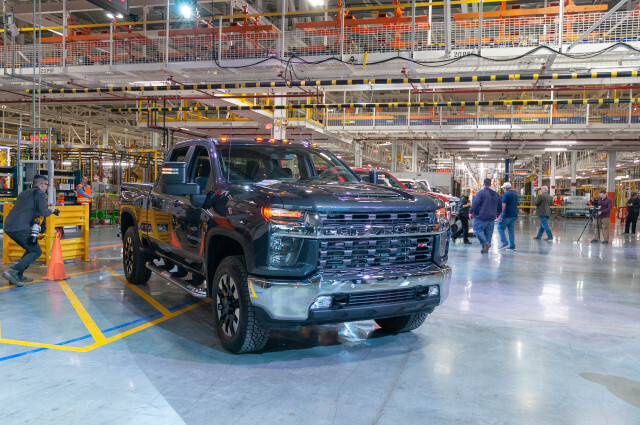 What's most obvious at first glance is the new Sierra Heavy Duty's enormous, lumpy grille, which features horns emblazoned with running lights that dig into its tall headlights and a functional hood scoop for engine cooling. 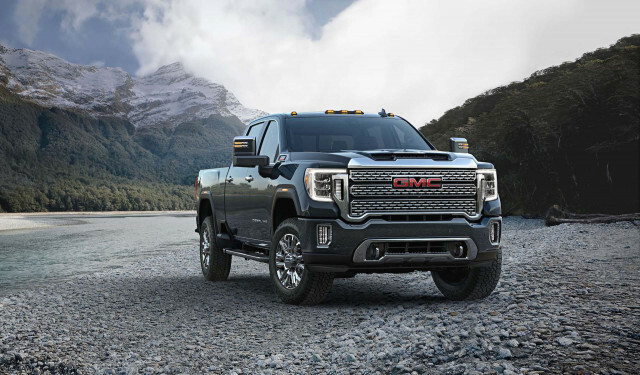 GMC will offer several different designs depending on the Sierra HD trim level when the truck goes on sale late this summer. 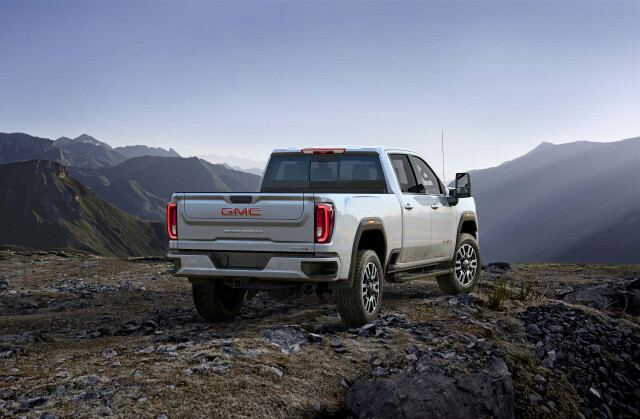 Like the half-ton Sierra 1500, the HD trucks will be available with a six-mode tailgate that can work as a standing desk or can be folded down to create a step into the bed. The Sierra HD's interior will share most of its trim with the Sierra 1500. 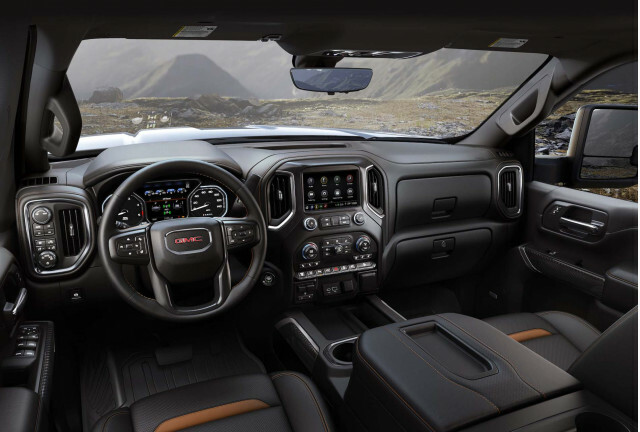 GMC hasn't said how many trim levels will be on offer, but the automaker detailed some upgrades such as trim-specific leather upholstery, open-pore wood, and dark-finish aluminum for the Sierra HD Denali. 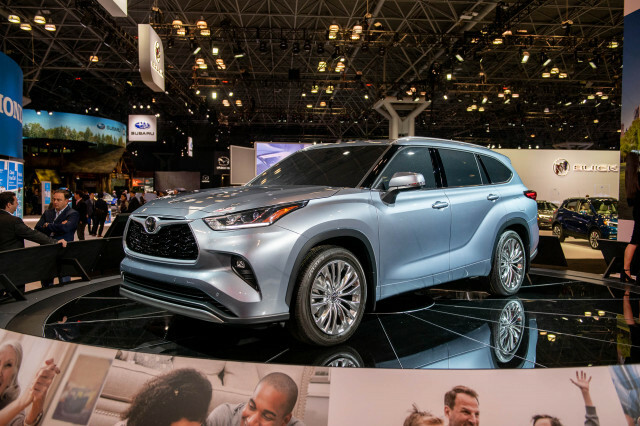 The automaker will also make its AT4 off-road trim level available in on the new Heavy Duty pickup trucks. 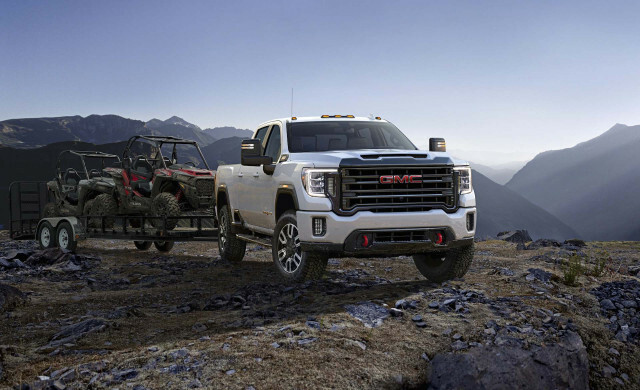 Although not as comprehensive as the Ram Power Wagon, the Sierra HD AT4 features a locking rear differential, Rancho shocks, Michelin all-terrain tires, and an off-road mode for its traction control system. 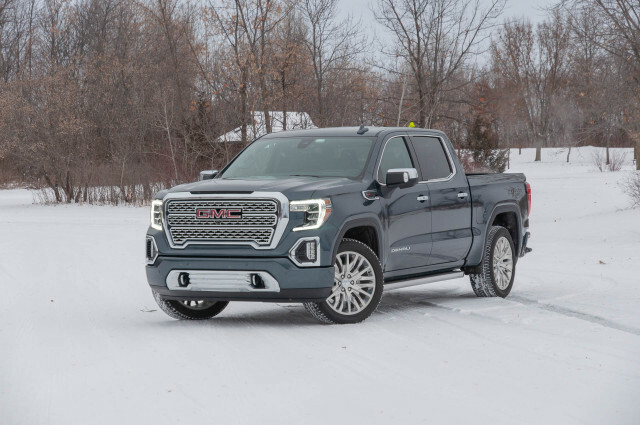 GMC didn't say what the 2020 Sierra HD's trailer rating, only that it will be able to lug in excess of 30,000 pounds. 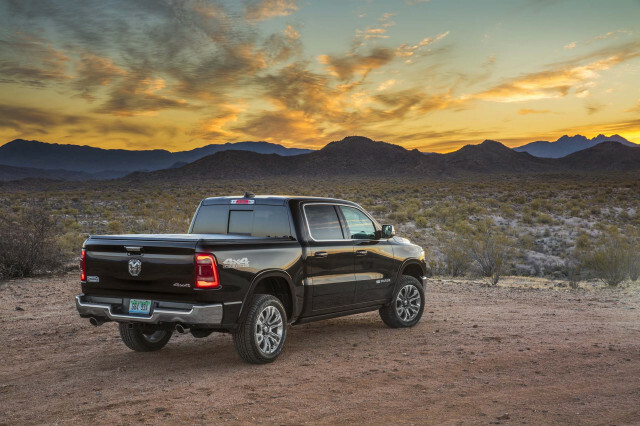 That's well above the 23,300 pounds for last year's model but significantly behind the Ram's 35,100-pound rating. It's likely that Sierra HDs with the available 6.6-liter turbodiesel V-8 engine will again be towing champs among the lineup, but we're waiting for GMC to release more details. 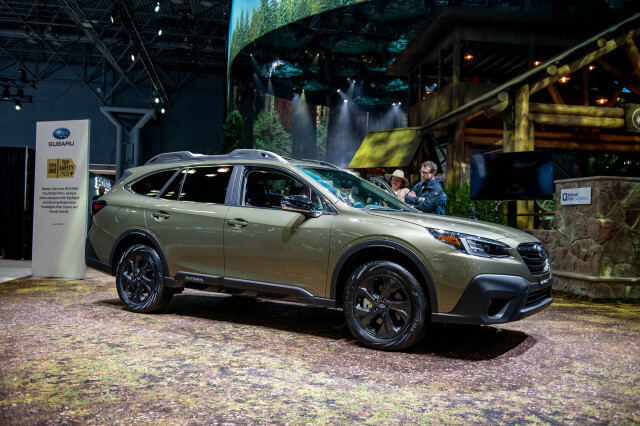 The popular turbodiesel engine will swap last year's 6-speed automatic transmission for a new 10-speed automatic designed by Allison. A number of newly available features will help the Sierra HD's driver keep tabs on a trailer. 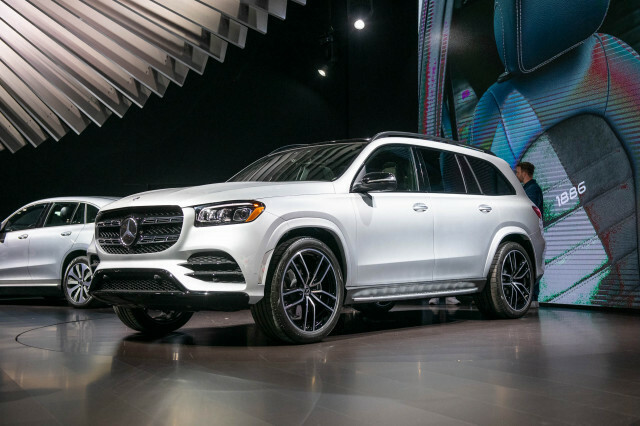 The rearview camera system will be able to display 15 different views of what's behind the truck, including a "transparent" mode that seems to look through the trailer. 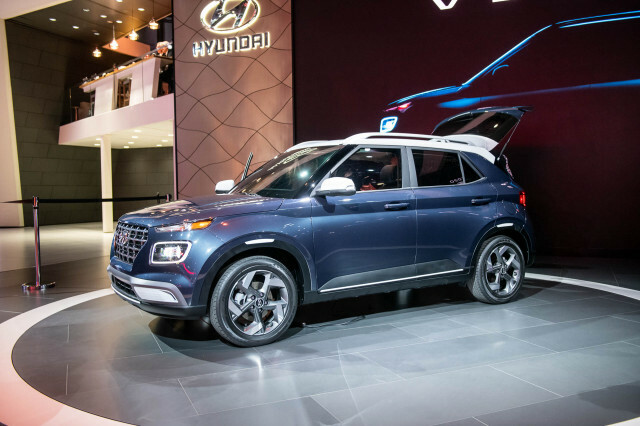 On compatible trailers, new smartphone connectivity will let drivers keep tabs on such trailer systems as air conditioning, water heaters, or generator fuel levels via Apple CarPlay, Android Auto, or a myGMC app. Additionally, the Sierra HD's available head-up display can show some information relevant to trailering such as an inclinometer for the road's grade. A new door jamb-mounted label will show an individual truck's specific trailering data since variables such as bed lengths, drive wheels, and axle ratios mean not every truck is rated to lug the same amount of trailer or payload. Expect news on pricing, power, and tow ratings as the Sierra HD nears its release this summer.